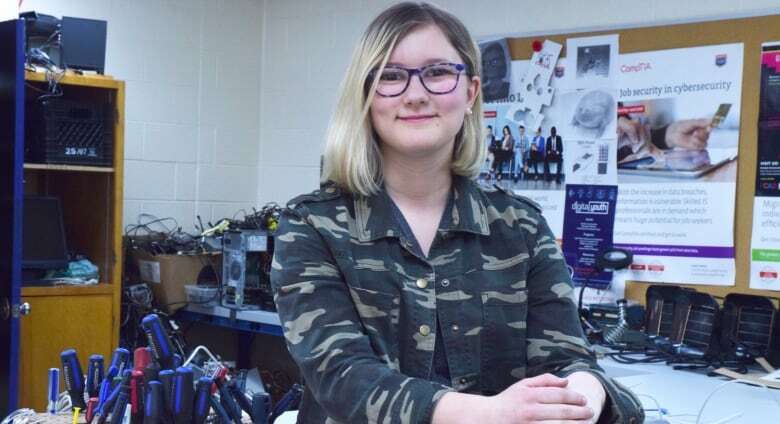 An all-female tech team from Centre Wellington District High School in Fergus will be going to Ottawa next month for a national competition on cyber security. They call themselves the Falcontech Terabytches. 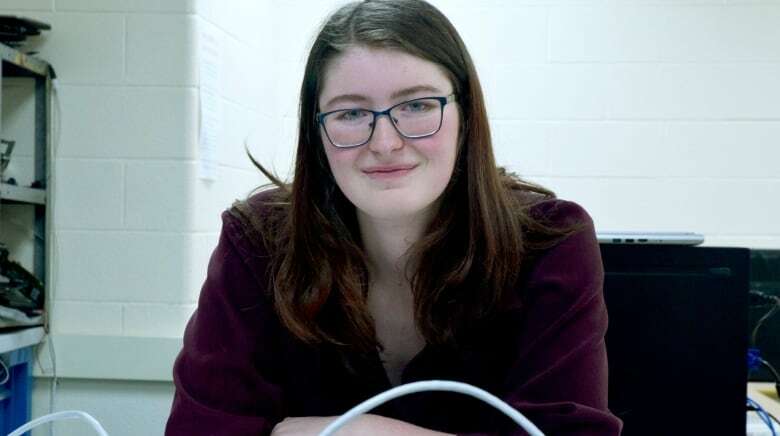 The team is made up of six female students at Centre Wellington District High School in Fergus, and in their first year together, they've earned their way to a national cyber security competition in Ottawa next month. Throughout the school year they've tackled other competitions through CyberTitan, an education program that partners with industry, government and schools across Canada. Competitions see them huddle at their computers for six hours. They're given a complex problem to solve and a network of computers to build within that time frame. One scenario saw the group faced with the computer system for a fake town called Bigby. They had to make sure computers were secure, network them together and also ensure one section that focused on traffic recorders was accessible to some, but not all, computers within the network. 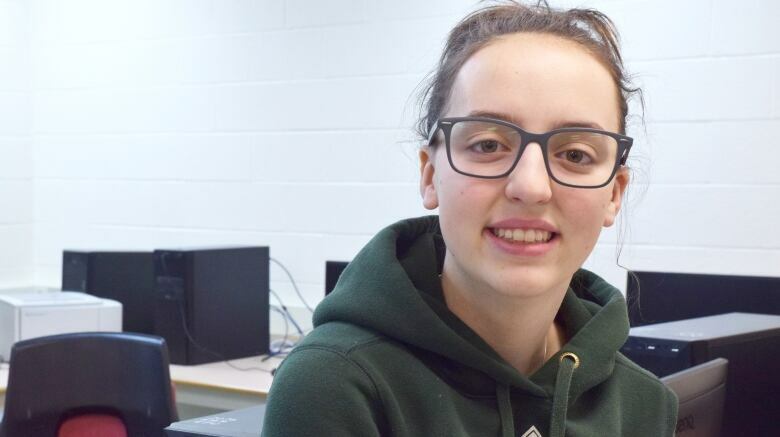 "We just need to be secure … and not have our information everywhere on the internet and be able to protect ourselves from hackers and dangers from online," said Grade 10 student Louise Turner when asked why it's important to be concerned about cyber security. "It's a huge thing." Katryna Schletz, a Grade 11 student, says many people don't have proper security on their own computers at home. "You have an update for your computer, and you'll put it off for years and by doing that, you're not secure at all and you'll get viruses," she said. The competition on May 14 in Ottawa will see them go against nine other teams from across the county. Grade 10 student Alexandra Clark said being a new team, they don't have the pressure other teams may feel to win. "It would be nice to be top three but that's not really our top priority," she said. 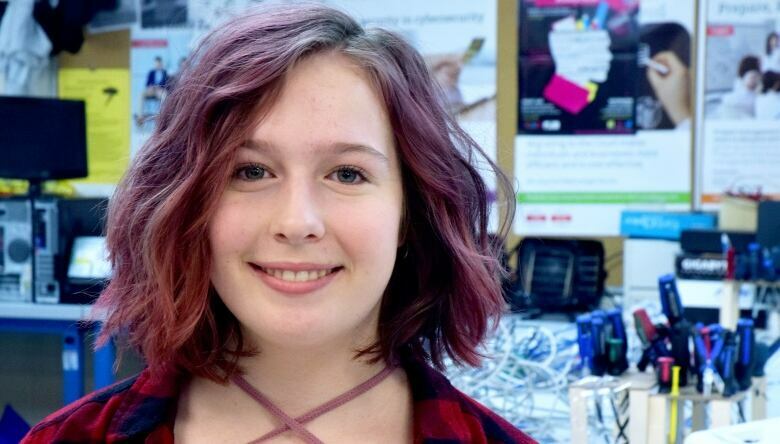 Grade 10 student Charlotte Christie admitted to feeling nervous about joining the team and working on cyber security challenges, but now she's excited for what she'll face at the national competition. 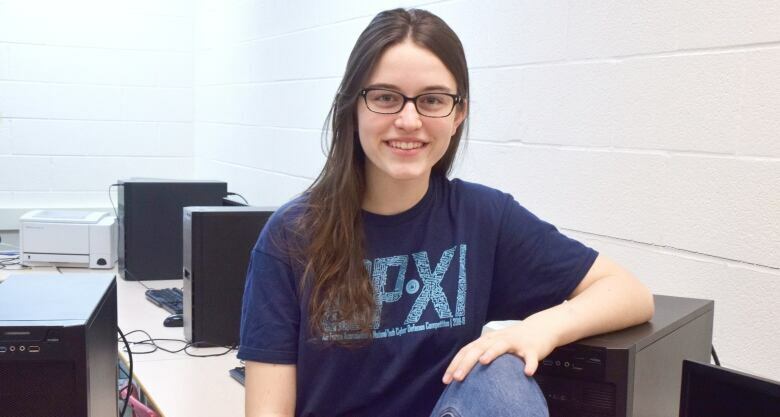 "I just really want to take away new computer skills because all this does is give you more experience and it helps you learn more about what you're interested in," she said. "I don't really know what I want to do when I'm older yet, but this is looking pretty good, I guess." Tim King is a computer engineering teacher at the school and the group's adviser. "Competitively, they're astonishing," he said, adding they ranked right behind a team of older students in the standings. While they will be up against some very strong teams from larger schools, "I want them to go there and feel like they belong," he said. 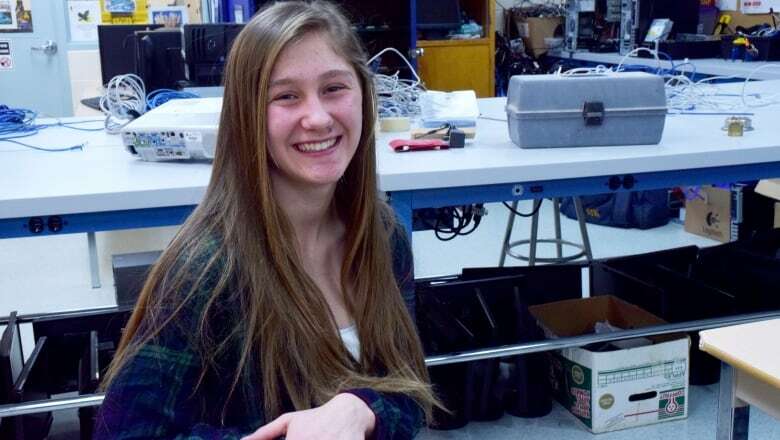 When Grade 11 student Rachel Routly took a tech class last semester, she was the only female out of 24 students. "That's the reason why I really like the all-girl team model because we all kind of get that, so then we have more support from each other," she said. The Terabytches competed against two all-male teams from their school as well. Emily Younghans, a Grade 10 student, said they experienced the guys telling them "you're not going to make it to nationals." The team name was a way to show people they were strong together, the group said, adding a terabyte is the largest storage you can get on a USB stick. "We were looking for something funny and super feminist," Younghans said. "We're like the biggest collective knowledge in a girls' team." Routly said it was also a way for them to reclaim a word that is sometimes used negatively toward girls and women. "We're using this word so you can't use it against us," she said. The plan for next year was to take the top people from each of the three teams to create and all-star team, King said. Those plans have changed because the Terabytches want to stick together. And he thinks that's a great idea. "I think this is the all-star team. I think you build the team that looks after the team," he said.